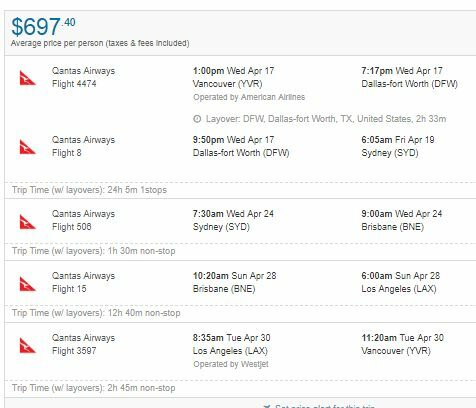 Qantas has once again dropped the price of their flights from Vancouver to cities in Australia, this time down to between $624 and $685 CAD roundtrip including taxes. You can also find these flights from Victoria (YYJ) for about $75 more. 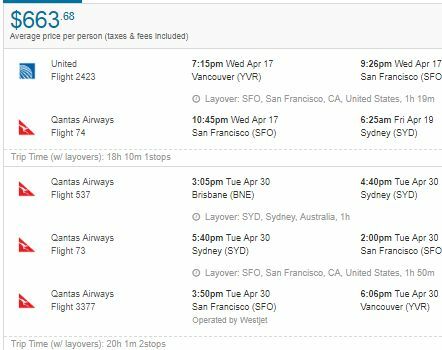 You can also find flights from Vancouver to a few other places in Australia and New Zealand (Adelaide, Canberra, Hobart, Gold Coast, Christchurch) for a lot less than their usual price... ($742 to $853 roundtrip). See instructions below. - look for the dates that are somewhere between $686 and $702 roundtrip. 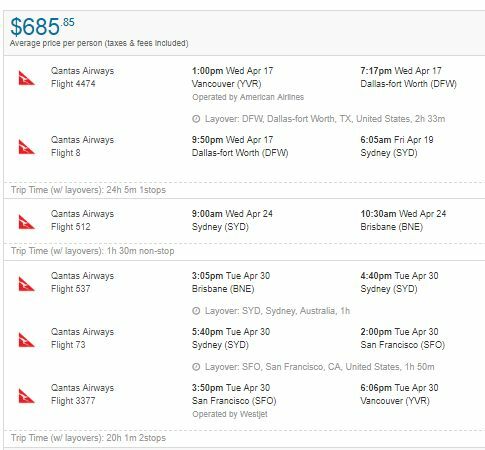 Update @ 8:14 PM PST - Qantas is now showing a few *non-stop* flights from Vancouver to Sydney in January for $575 CAD roundtrip including taxes!! 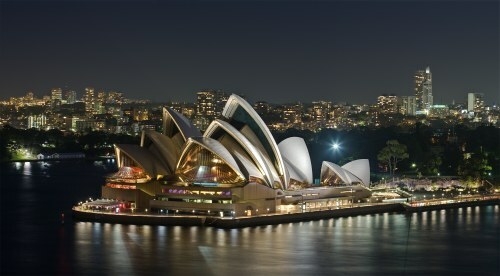 For example, let's say you found a flight from Vancouver (YVR) to Sydney (SYD), from Apr 17 to Apr 30. It's even possible to visit multiple cities in Australia *and* Los Angeles and still keep the price under $700! 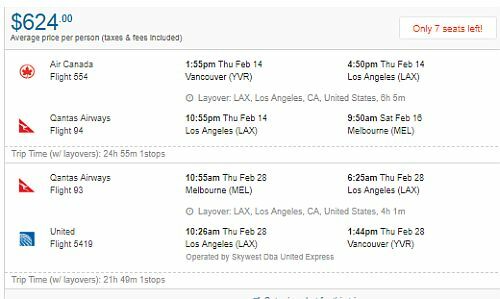 Update 12/4 - While the Qantas deal is finished, American Airlines is now showing flights from Vancouver to Australia for $703 to $813 CAD roundtrip including taxes. Certainly not as attractive as the Qantas deal, but also an unusually low price. 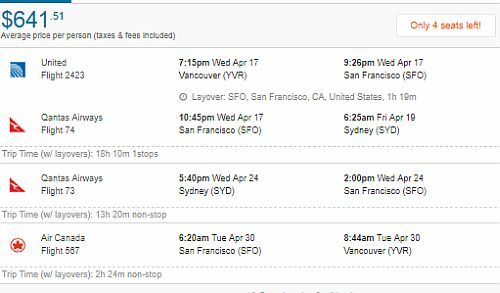 NOTE: Even though Google Flights is showing dates for $1282 to $1330 roundtrip, many of those dates are showing up for $703 to $813 CAD when you search for them on Kayak. 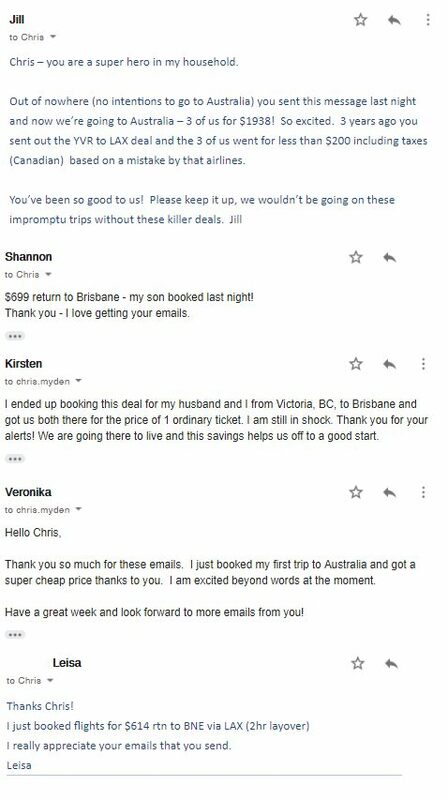 4 Responses to "Vancouver to Sydney, Brisbane, or Melbourne, Australia - $575 to $685 CAD roundtrip"
Hi. These are awesome deals! However, when I reversed the locations (Melbourne to Vancouver) the prices were 2-3 times more. Is there anyways to find or orchestrate these deals in reverse? As much I enjoy going home, my family also like to come to Canada. 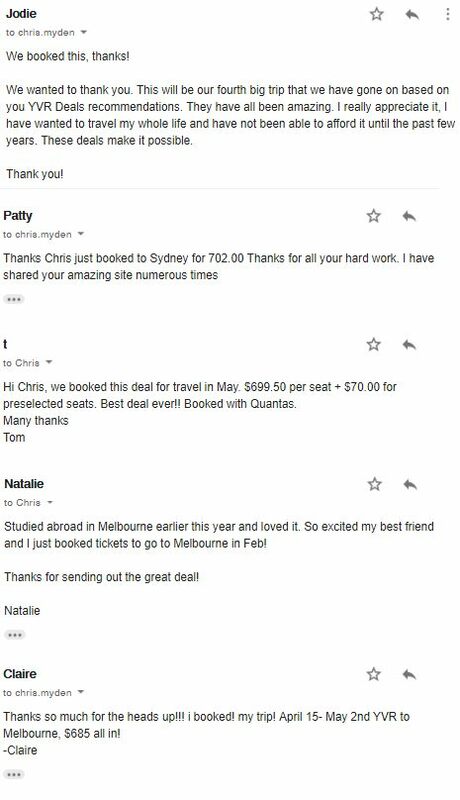 On Saturday night I booked a trip for my daughter and her friend to Melbourne and Sydney February 19-March 12 for an amazing $780 pp! I use this site to get myself home and abroad, and the other site is usually good for finding outbound Aus flights.